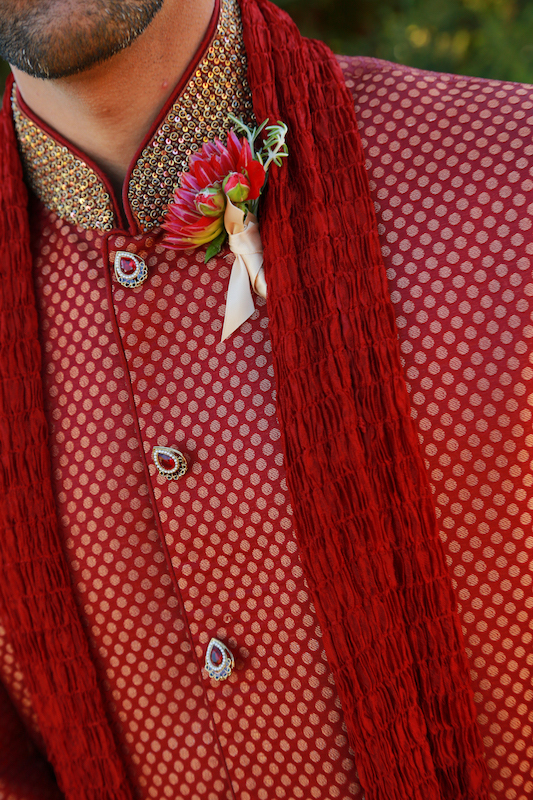 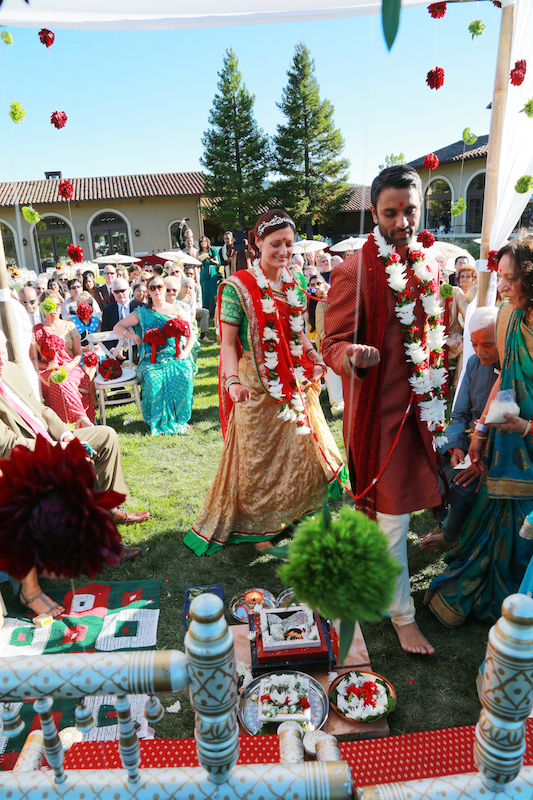 Deepan did not want a “traditional” Indian wedding. 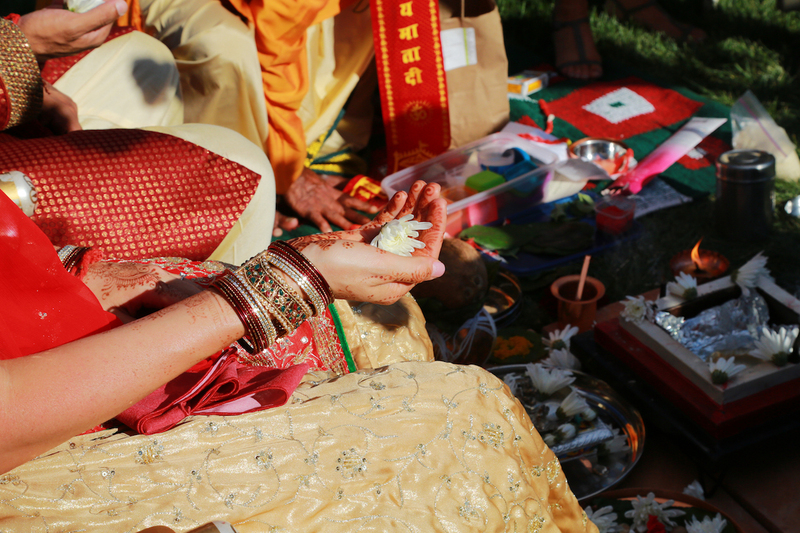 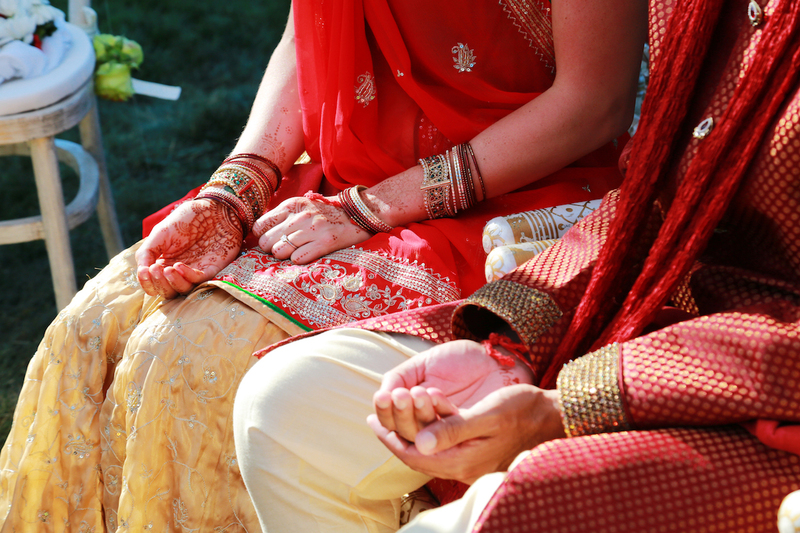 When we first met, he said: “The Indian wedding is going to last a maximum of ten minutes.” I, of course, chuckled because I’ve never had or heard of a ten minute Indian ceremony. 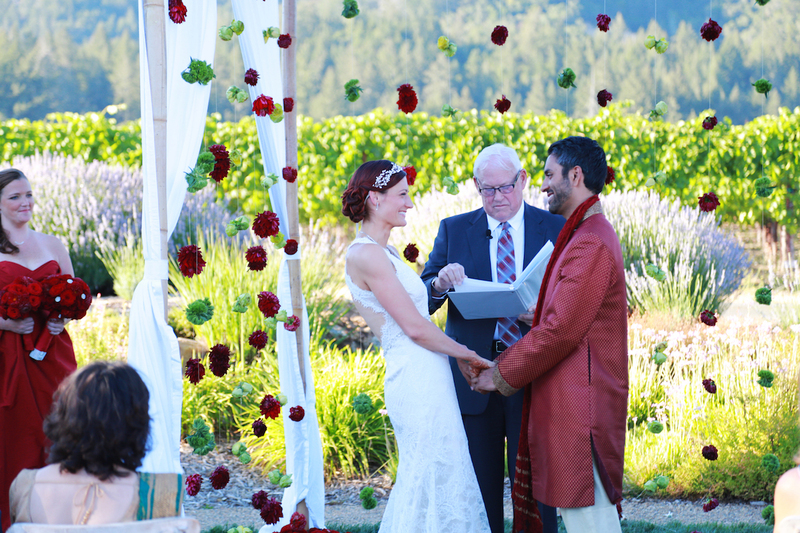 As the days turned to weeks, and the weeks turned to months, minutes began to add to their ceremony itinerary. 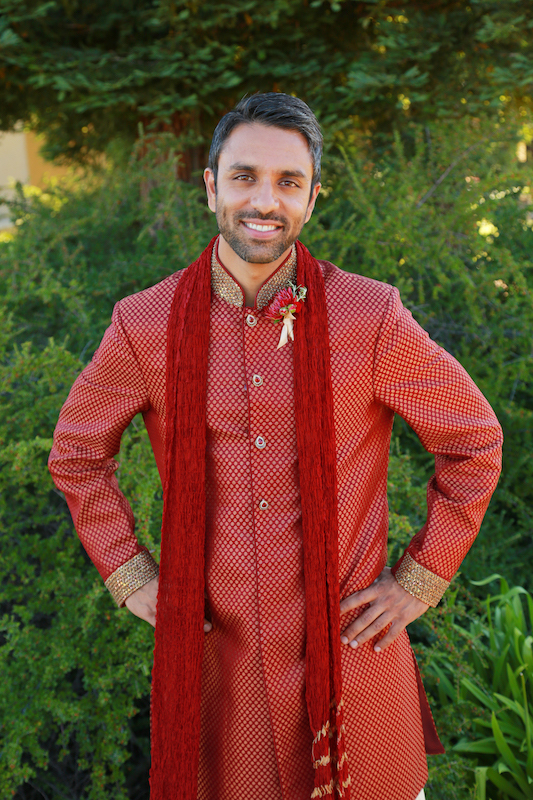 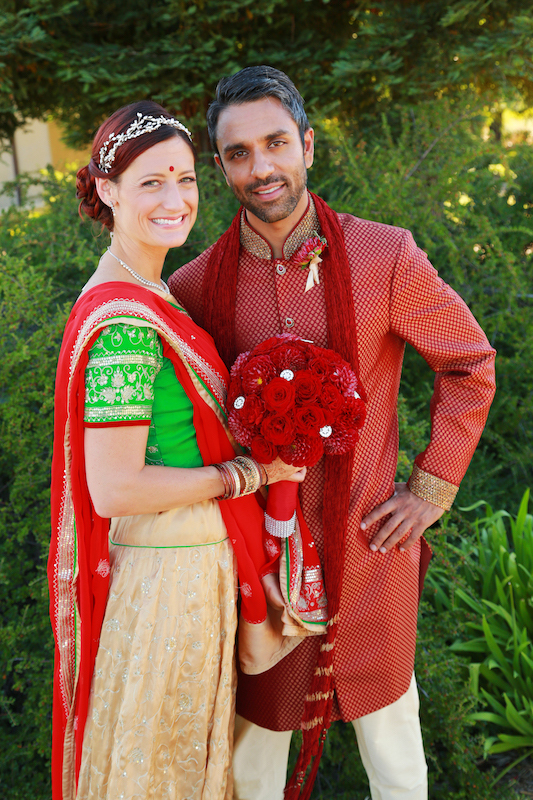 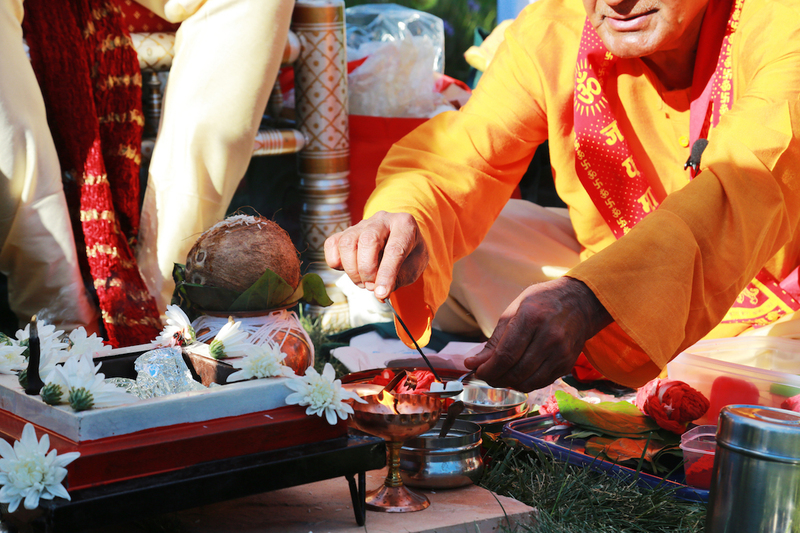 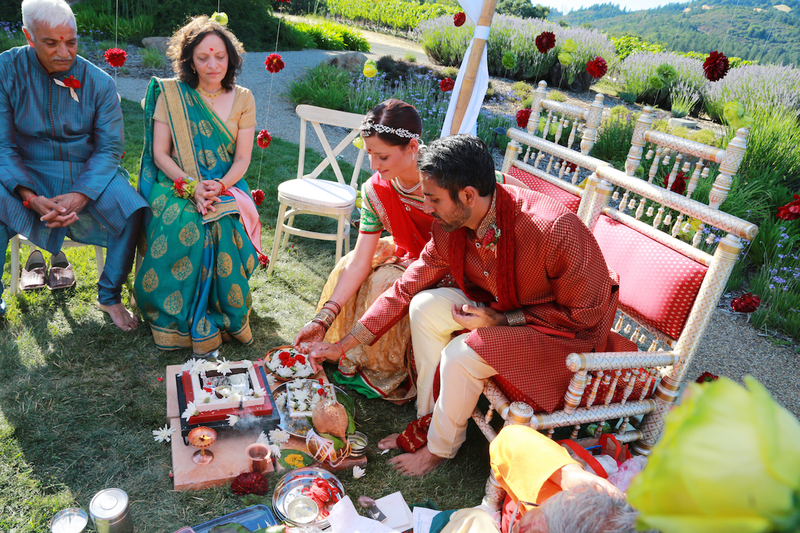 Finally, he settled on a 45 minute Indian ceremony, followed by a wine tasting for his guests (while his bride changed into a Western style dress), and a quick Western style ceremony. 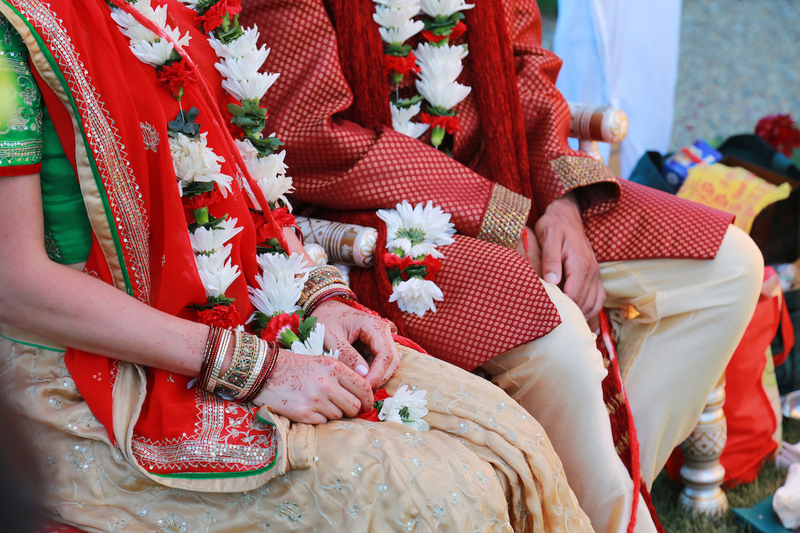 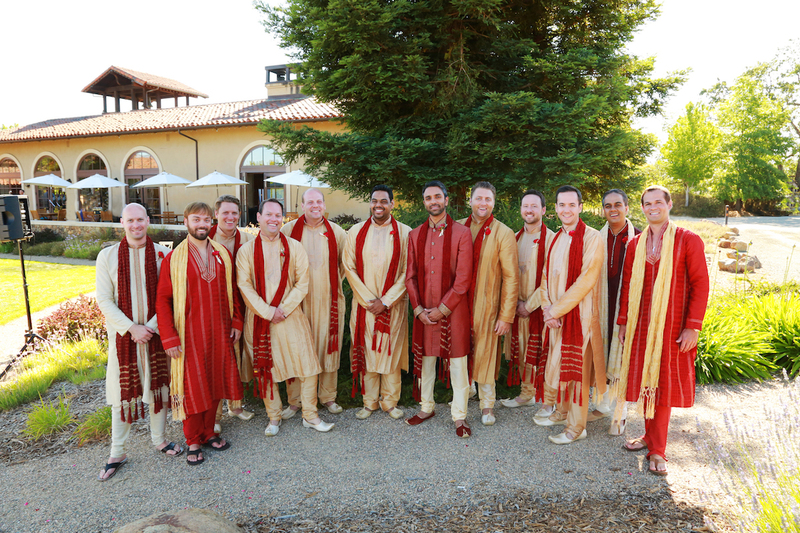 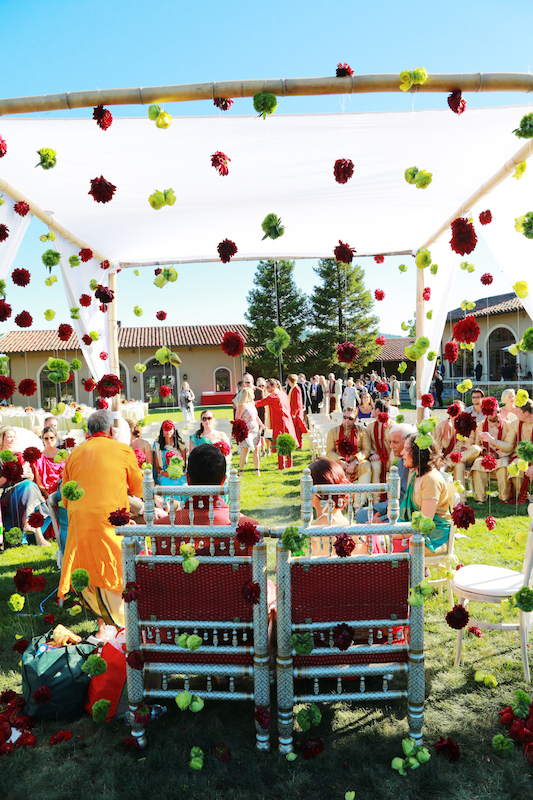 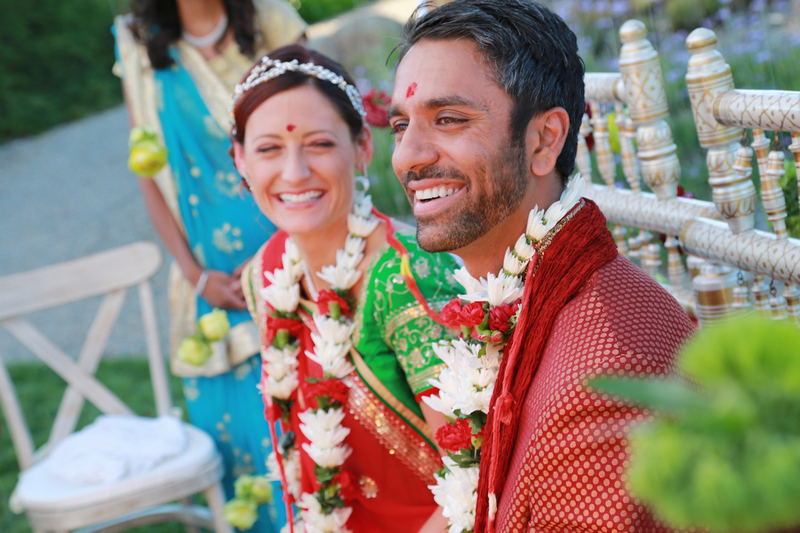 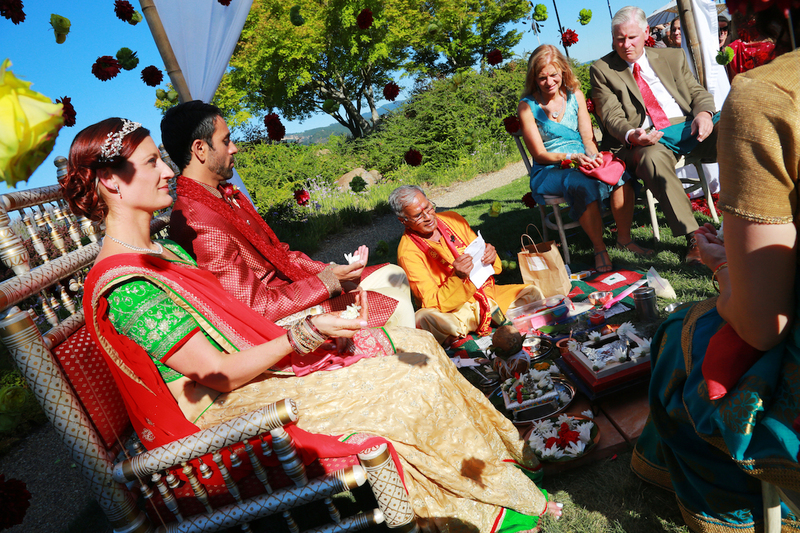 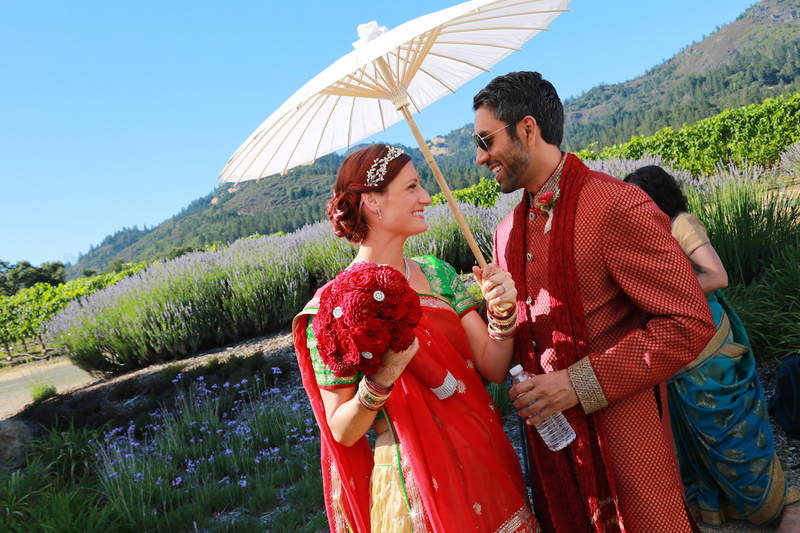 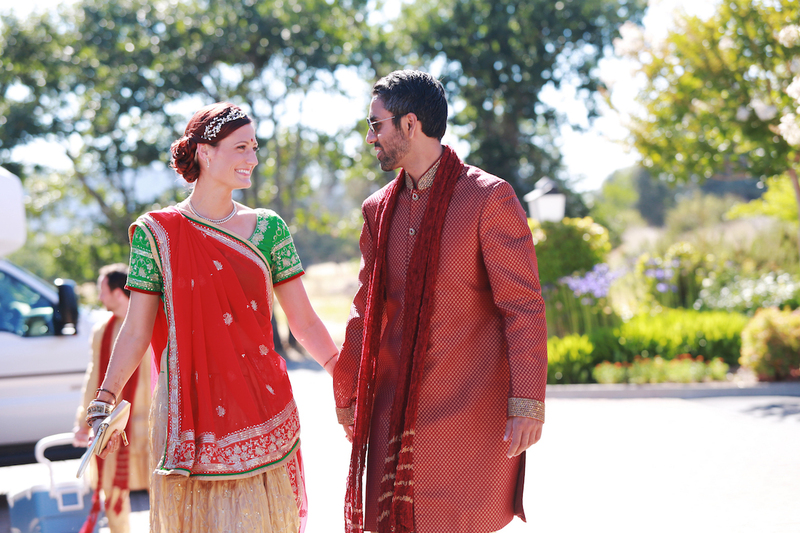 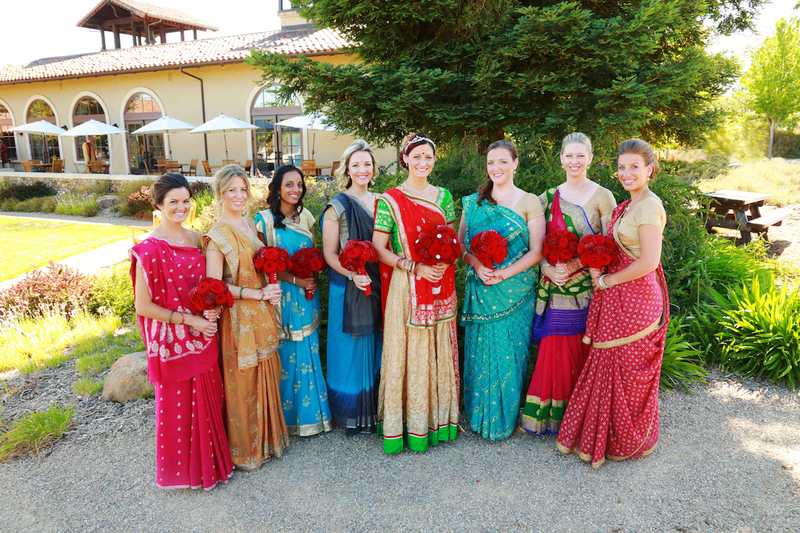 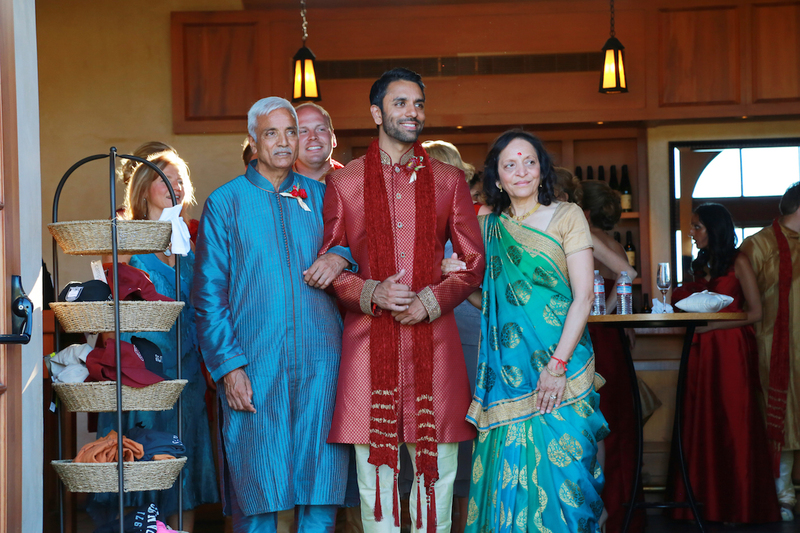 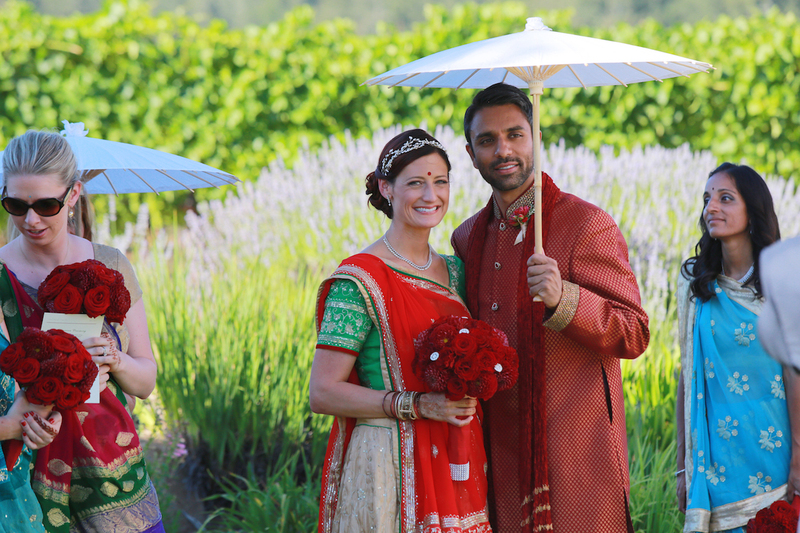 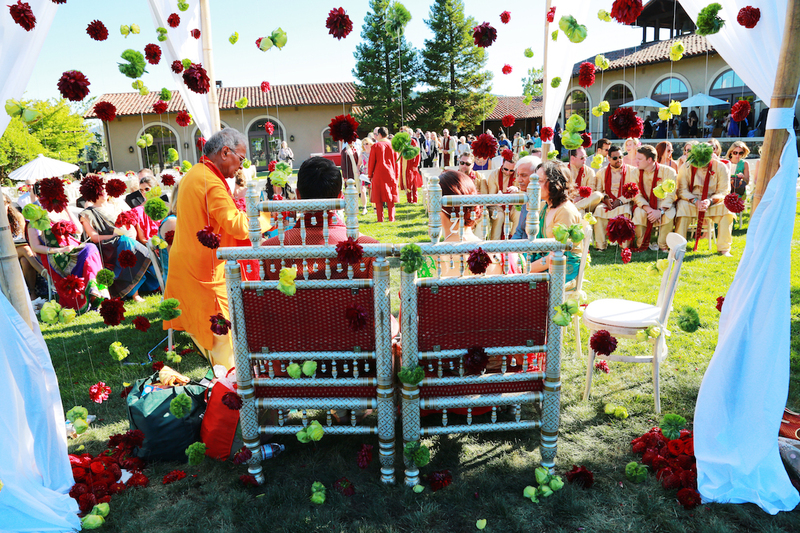 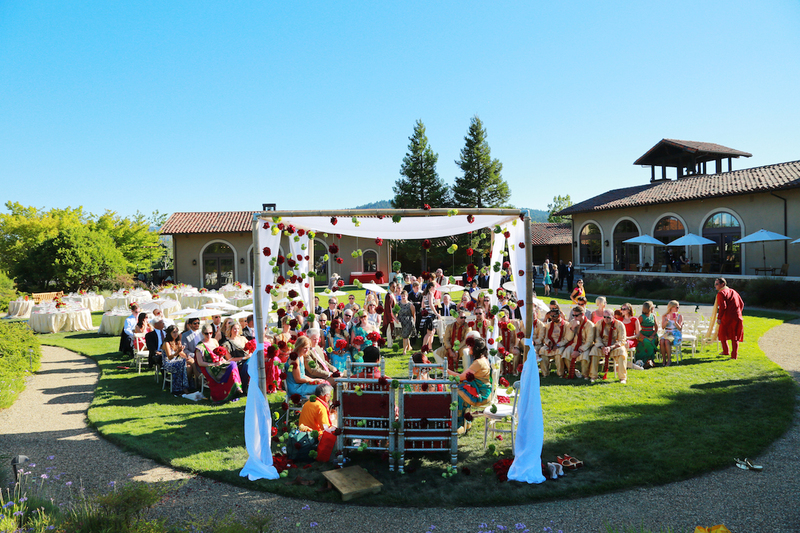 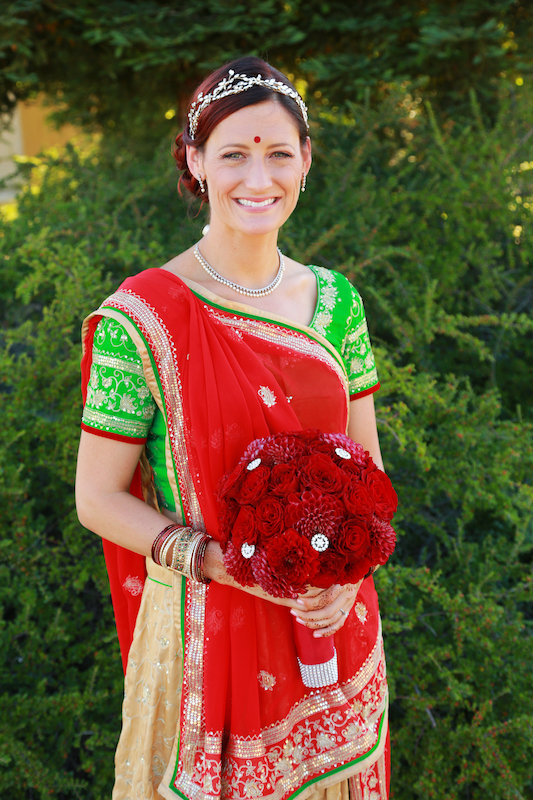 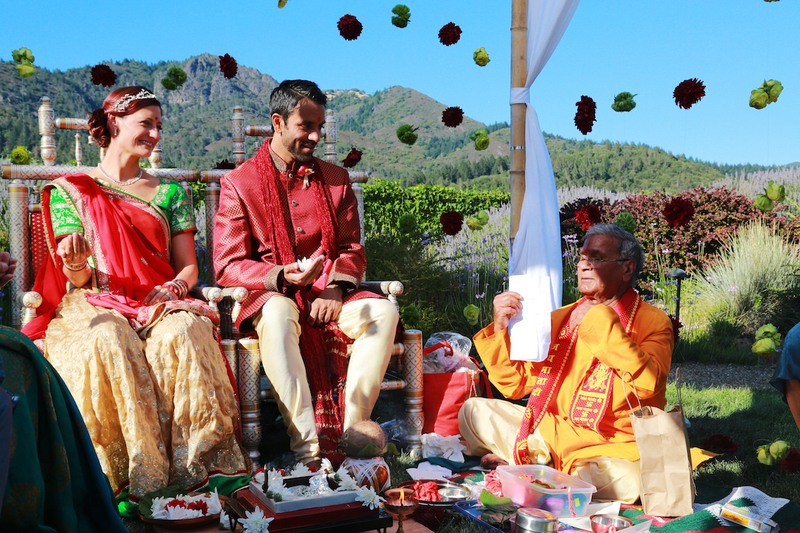 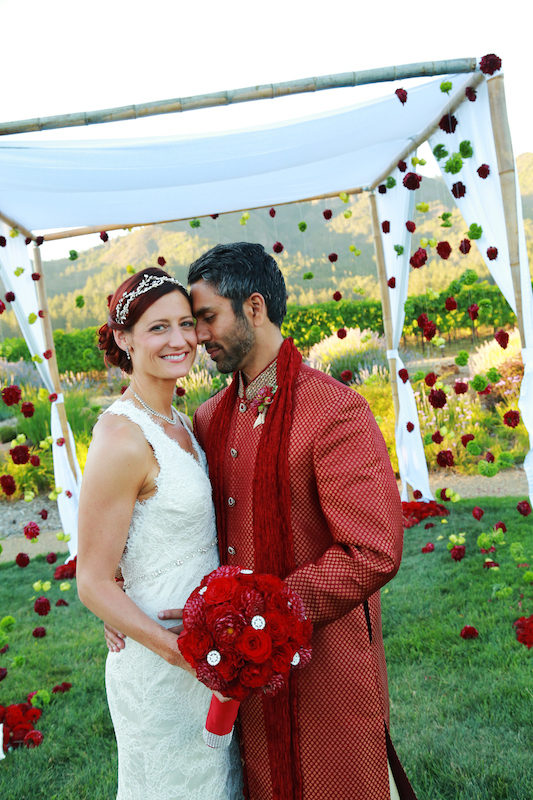 Both ceremonies took place under a gorgeous mandap with a backdrop of vineyards and a stunning Sonoma Valley mountain range. 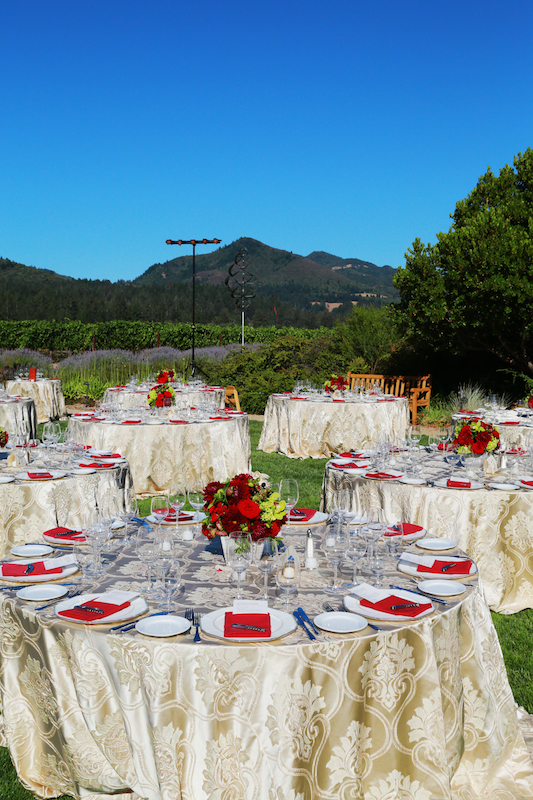 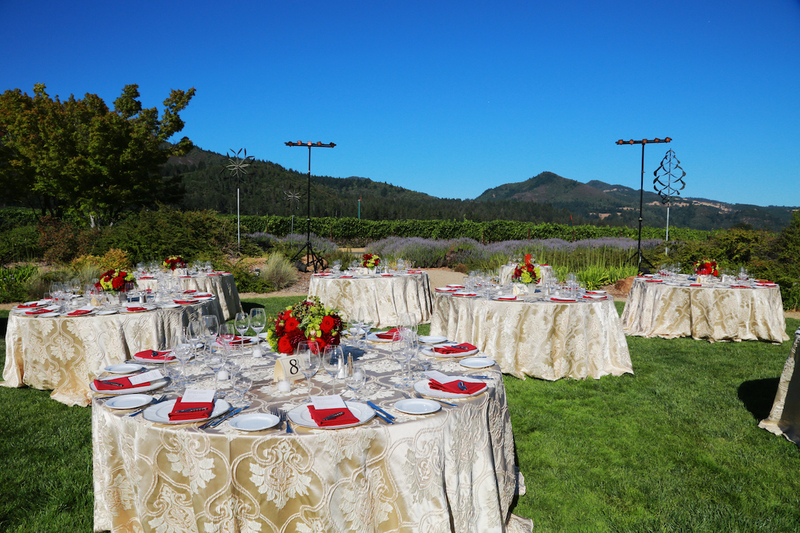 A soft gold palate was accented by hints of vibrant, rich red tones throughout their wine country wedding.